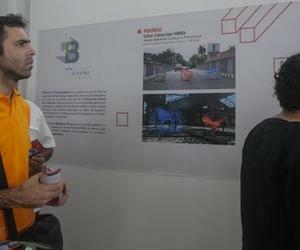 Innovative design projects won the 2016 ONDi Prizes, an award conferred in this capital as part of the activities of the First Biennial of Design of Havana, BDHabana 2016. The winners of the highest recognition by the National Bureau of Design (Ondi by its Spanish acronym), governing body of this sector in Cuba, were professionals and students who developed projects, products or impact product systems in 2014 and 2015. The award ceremony took place at the headquarters of the Spanish American Culture Center, a space where the award-winning creations are exposed. According to the jury, to grant the distinction they took into account the level of innovation in the solutions of the various design components of the works and their economic and social impact. In the category of Industrial Design the awards were conferred to VIBRA Chairs Collection, GEM Bench and Roca Real Cuban Marble Stand, while in the category for students the prizes went to CUBIMOD, Monolith Projector and House of Honey. The jury decided to award, in this mode, a mention to the product Refrigerator NICE, and a special recognition to La Sierpe Children's Park Project. Other award-winning projects in other categories mainly due to their social impact were the Almendares Park Signal System, the 2015 Campaign for midterm elections, the visual identity, signage and web interface system for the National Archives of Cuba, etc.